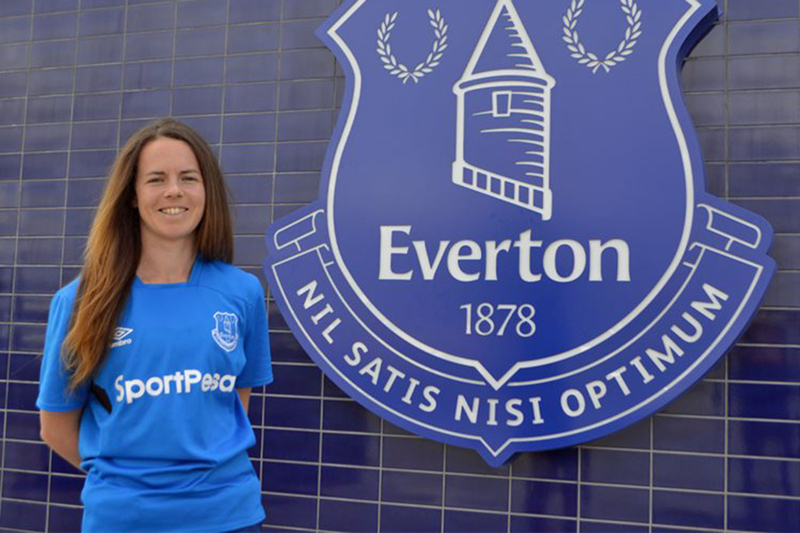 New Zealand Football Fern Olivia Chance has signed with Everton Ladies Football Club for their WSL 1 2017/2018 campaign after a successful stint with the side in the 2017 FA WSL Spring Series. Arriving in February to find her feet before the WSL 1 season, Chance wasted no time to make an impact in the team, scoring three goals for Everton and helping the side reach the fifth round of the FA Cup. Now familiar with her surrounding and the style of football, Chance is looking forward to continuing with the Toffees as they make their return to the top tier in English football. “I am feeling a lot more like an Everton player,” she said. “The girls have been getting used to me and I have been getting used to them. That definitely helps, but I am also learning the style of play here in England. The 23-year-old midfielder has built an impressive resume over her short football career – representing her country at both age-group and senior level before making her professional break with Úrvalsdeild side Breiðablik UBK – and Chance has no plans of slowing down as she takes her next step with Everton. “I’m really happy to go back to being a professional. The Spring Series was nice to allow me to get used to England and the game here,” she said. Chance credited her steep climb up the football ranks to the support of her family and was overjoyed to see them as excited as she was when they heard news of Chance joining the Blue Girls. “That has been the best thing – seeing my sister’s two little girls wearing my shirt out in New Zealand,” she said. “It is something that I had never dreamed of. I’m really happy and proud of my family. They have been amazing so I’m really pleased my nieces love wearing their shirts at day care!